Why Your Home Can’t Wait! The Atlanta metropolitan area is filled with beautiful homes and properties; unfortunately, we also have our share of burglars who target those addresses. 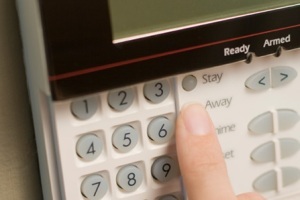 If you live in the metro Atlanta area, a few key statistics provide ample reason to invest in a burglar alarm system. Nationally, burglars invade a home every 12 to 14 seconds, translating to almost 7,000 break-ins every day! In Georgia alone, the number of yearly burglaries is over 94,000. And many of those break-ins have occurred in or around Atlanta. There’s no way to completely eliminate the threat of a break-in, but studies indicate that an alarm system significantly lowers the chance that a burglar would target your property. Even if burglars are brazen enough to breach your property line, the presence of an alarm system reduces the amount of time the thieves spend in your home and, as a result, reduces the number of valuable items they can steal. This is one reason insurance companies typically offer lower rates to homeowners with alarm systems. An insurance discount alone isn’t the only reason for a home alarm system. The consensus among home security professionals is that an alarm system is not the only countermeasure property owners should use to protect their homes and their contents, but it is the most effective one, the one that yields the greatest return on investment. All other precautions build upon the basic foundation of a sound security infrastructure. An effective alarm system should include state-of-the-art technology monitored by the alarm company combined with simpler yet equally important measures employed by the homeowner. It is a well-known fact that burglars are deterred by the appearance that someone is home, so motion-activated sensors around the property are essential. Along with these features, a good system should have a robust surveillance component (in the form of interactive video cameras) and a more immediate deterrent (such as tamper alert sensors) that makes burglary extremely difficult. Burglars can also be discouraged by something as simple as putting a sign in the front yard, which the homeowner can place and maintain with comparable ease. And the decision to purchase and maintain an alarm system is a simple one that will have a positive ripple effect for years to come. Atlanta’s population is growing, and more people mean more opportunity to be a victim of crime; it also provides more than enough reason to invest in a home alarm system. Both statistics and common sense make the decision clear – getting a home alarm system is a wise use of your resources in order to protect the rest of your property. At Actio, we’ve been providing security to metro Atlanta home and business owners by installing and monitoring burglar alarm systems for close to fifty years. Talk to our burglar alarm professionals today about how we can install and monitor the right alarm system for your home or business!